It is with profound sadness that the IWWF announces the passing of one of it’s true builders, Canadian Vern Oberg, on November 12, 2017. Mechanical engineer Vern Oberg was President of Edmonton, Alberta, based HO Engineering for 41 years. He was also a member of the Canadian Olympic Committee. However, Vern stepped off the dock into our great sport in the 1950’s and never looked back. 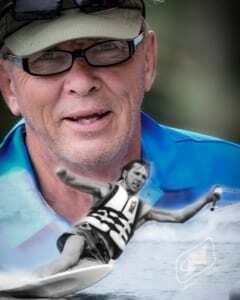 He first joined Water Ski Canada (now Water Ski and Wakeboard Canada) in 1959 and started his journey, often wearing many hats, through the Local, Provincial, National and International levels. From 1977 to 1980, Vern held the position of President of the Wizard Water Ski Club in Alberta and continued his affiliation with them from 1985 to the present day, fulfilling every role from Treasurer to President. During that time, he also served as President of Water Ski Alberta as it was then known, and in 1986, Vern entered the National scene by becoming a member of Water Ski Canada Officials Committee. He then went on to become President of Water Ski Canada from 1993-95 and stayed involved as Past President from 1995-2001. His contributions at International level began in 1994 when he became the President of the IWSF Pan Am Region, serving in that position for a full decade. Over the years, Vern was instrumental in water skiing entering the Pan Am Games program in 1995 and in each subsequent Pan Am Games since. Vern not only gave of his time but also contributed financially to ensure the success of many tournaments and projects. He was inducted in 2008 to the WSWC Hall of Fame as a Builder. Vern made his mark on the world he loved so much and will be missed by many around the world. Goodbye VernO – we are grateful to have had you in our lives.